High performance coating on both sides for two-sided printing with exceptional image quality. Save time and money by printing custom brochures and flyers in-house. Special coating designed for optimum print quality, crisp text, color clarity and consistency delivers a professional look and feel. Create custom marketing materials that look and feel professionally printed. 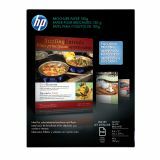 HP Inkjet Brochure Paper, 98 Bright, 48lb, 8 1/2 x 11, White, 150/Pack - Make your own professional-quality brochures and flyers with your inkjet printer. Thicker than plain paper, this gloss inkjet paper is specially coated for printing on both sides for two-sided printing with exceptional image quality.  Bright white finish and glossy coating deliver crisp text and vivid colors. Ideal for custom marketing materials. 48 lb. 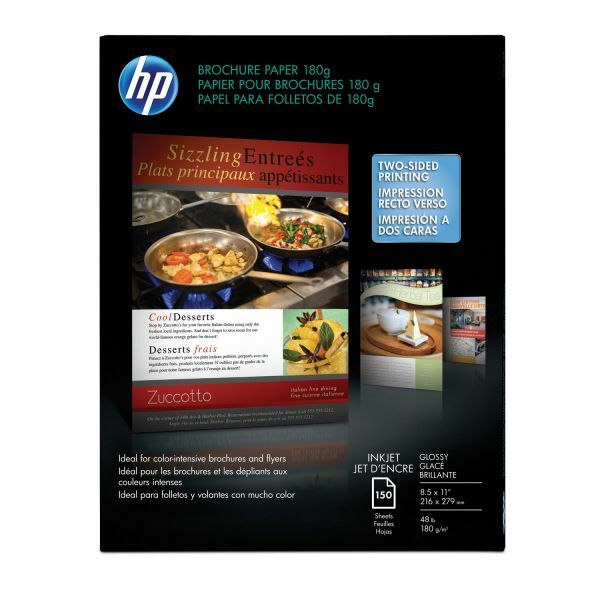 brochure paper works great with inkjet printers.